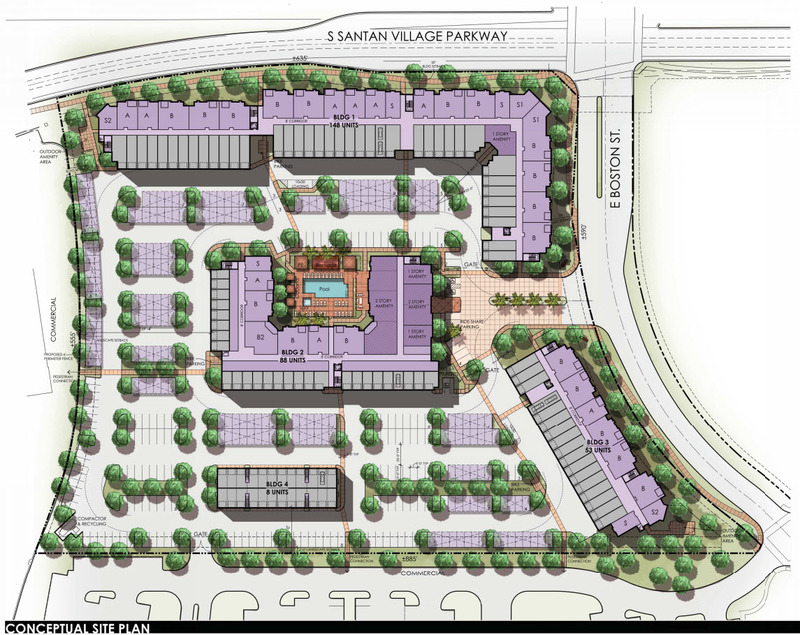 Elevation SanTan will consist of 297-units in five buildings located on an irregularly shaped site of 8.98 net acres. A contemporary urban theme will be achieved with an articulated two-story colonnade, clad with stone and filled in with storefront glass. The project sits directly west of SanTan Village Marketplace and south of the SanTan Mall, and will be completed in 2020.